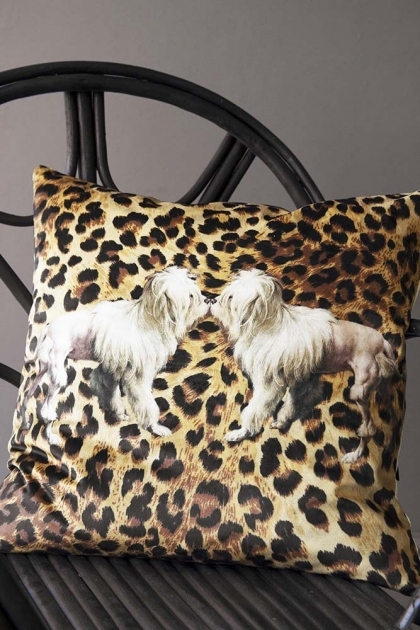 Quirky, eclectic and super striking; the Leopard Print Tiger Dog Velvet Cushion is a slice of high fashion soft furnishing that will add character and personality to your home interiors! 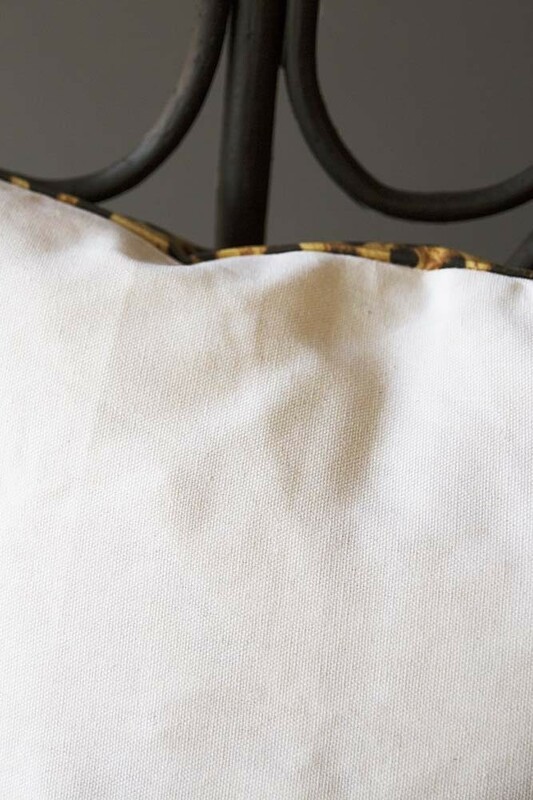 Inspired by catwalk trends, the quirky Leopard Print Tiger Dog Velvet Cushion will animate and electrify your bed, sofa, and armchairs, where ever they are placed around the home adding some seriously on-trend style! 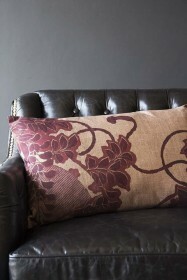 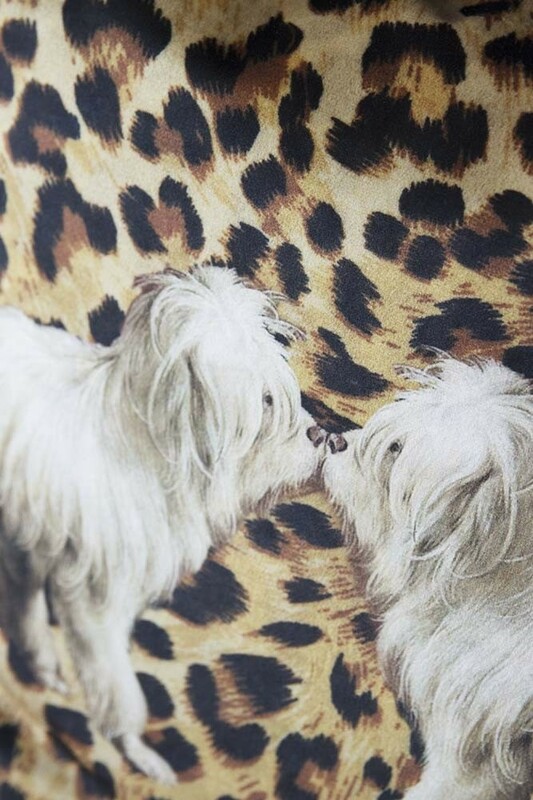 In luscious velvet, the cushion features a leopard print backdrop adorned with a wild Tiger Dog animal motif. 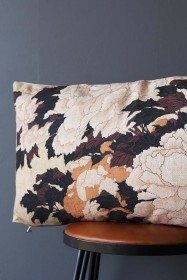 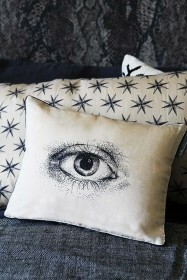 A humorous piece, we particularly love this cushion because it easily and affordably injects personality to the home! A super cool cushion, make a statement and style your leather sofa or armchair with the Leopard Print Tiger Dog Velvet Cushion which will create an interesting and eye-catching mix of textures, pattern and colour. 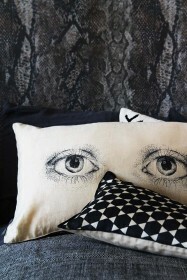 One-of-a-kind, this fashion-inspired cushion will make a fabulous gift for your friend or family member that loves quirky and unusual pieces!